Use the back button of your browser to get back to the page of thumbnails. 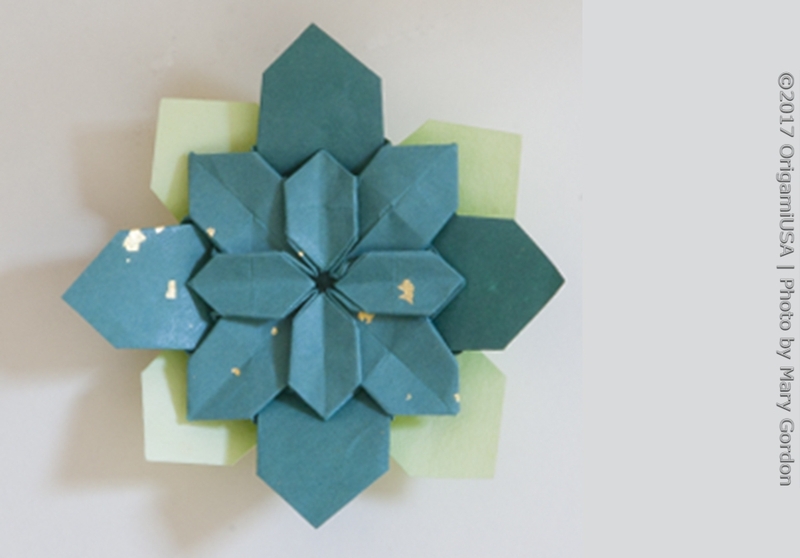 Folded by Divya Iyer, age 13, from North Carolina. Design by Meenakshi Mukerji. 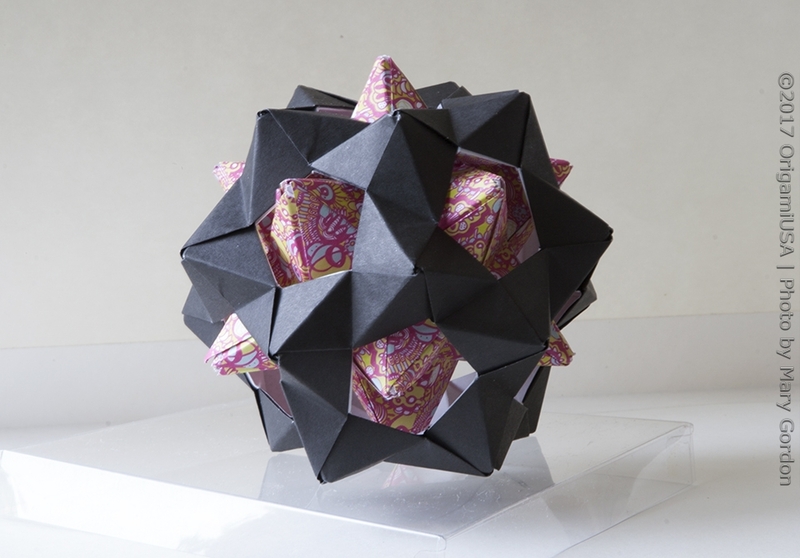 Folded by Artem Kozhuh, age 9, from Ukraine. Design by Jose Arley Moreno. 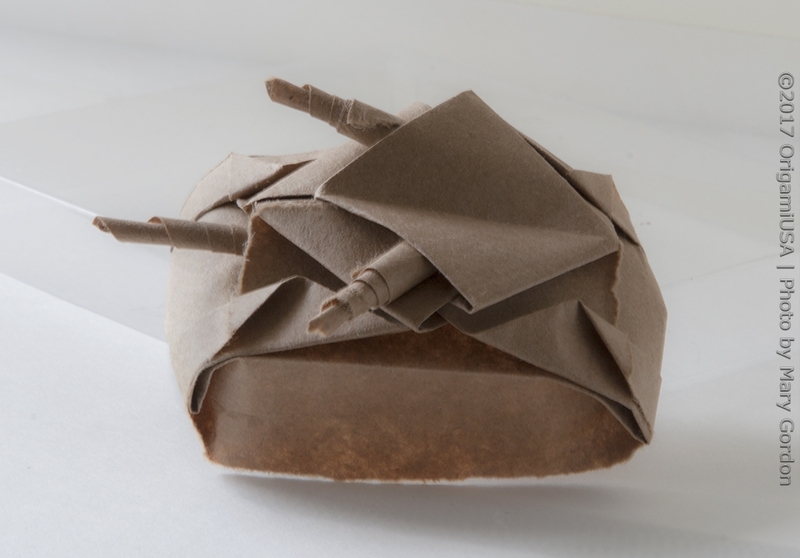 Folded by Yaroslav Kozhuh, age 7, Ukraine. Design by Yara Yagi. 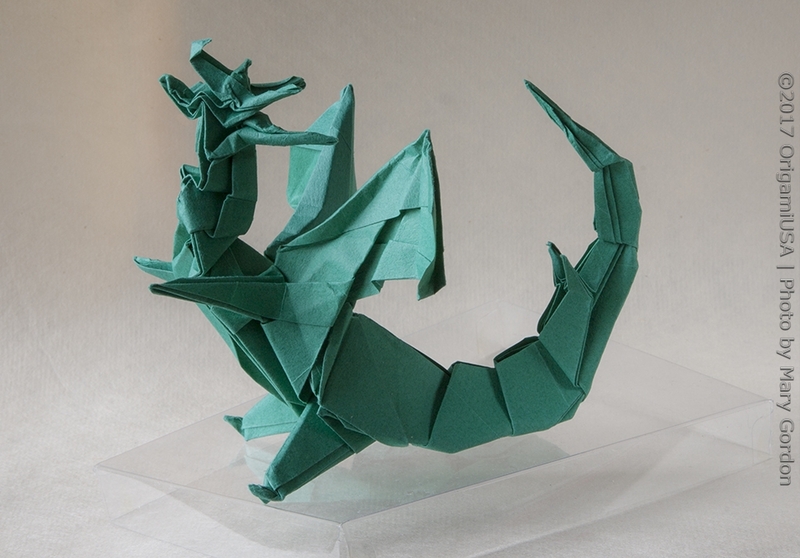 Folded by Brian Yoon, age 16, from New Jersey. Design by Ilan Garibi. 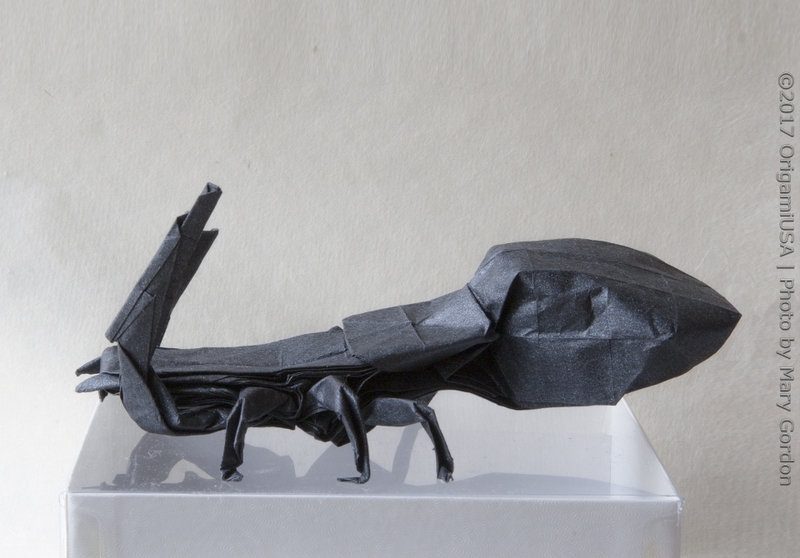 Folded by Tovi Wen, age 13, from New York. Design by Tovi Wen. 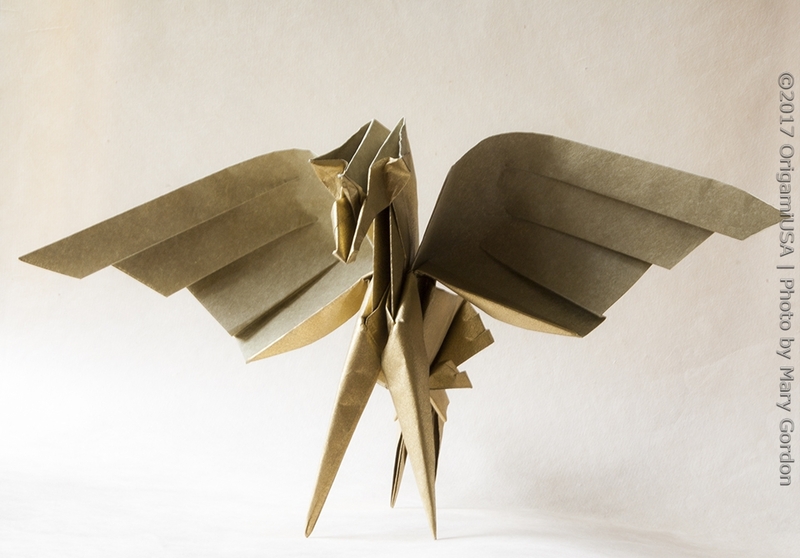 Folded by Shulan Holmes-Farley, age 16, from Massachusetts. 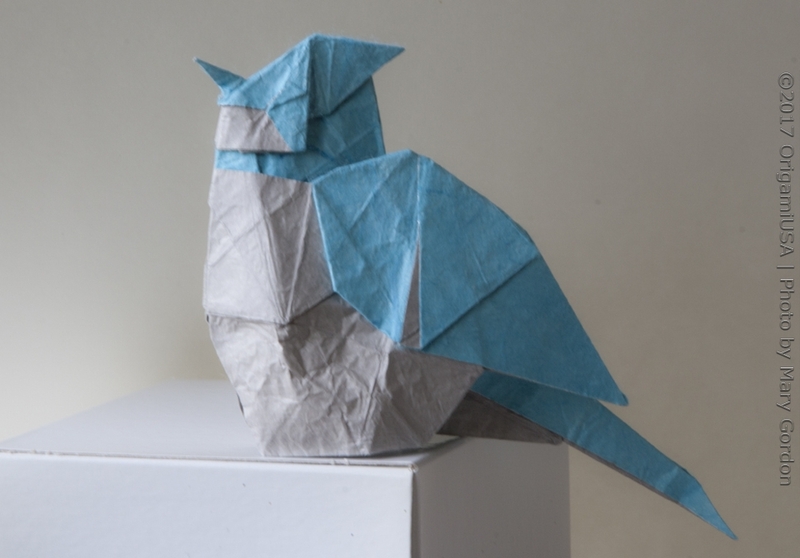 Design by Satoshi Kamiya. 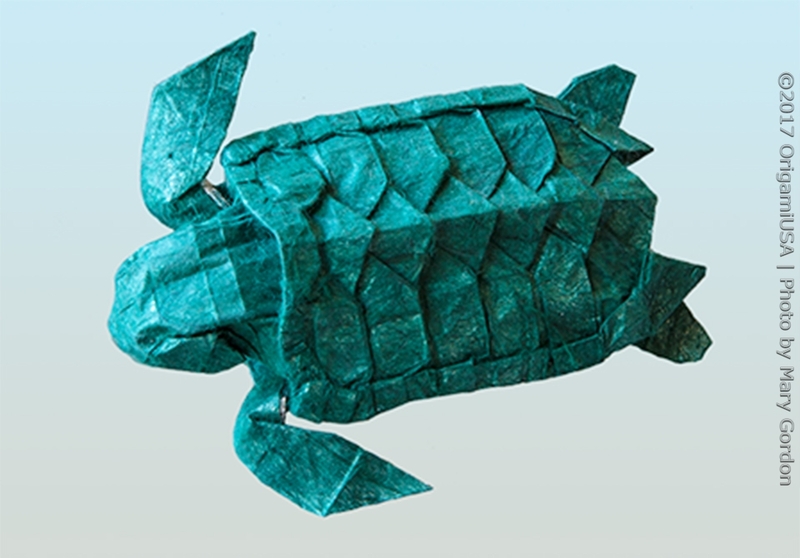 Folded by Paul Hung, age 10, from California. 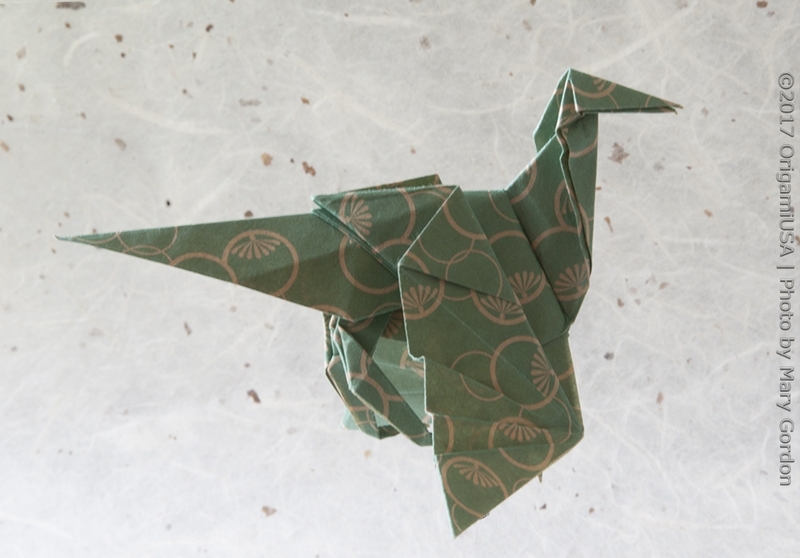 Design by Jo Nakashima. Folded by Harry Westphal, age 8, from Michigan. Design by Shuzo Fujimoto. 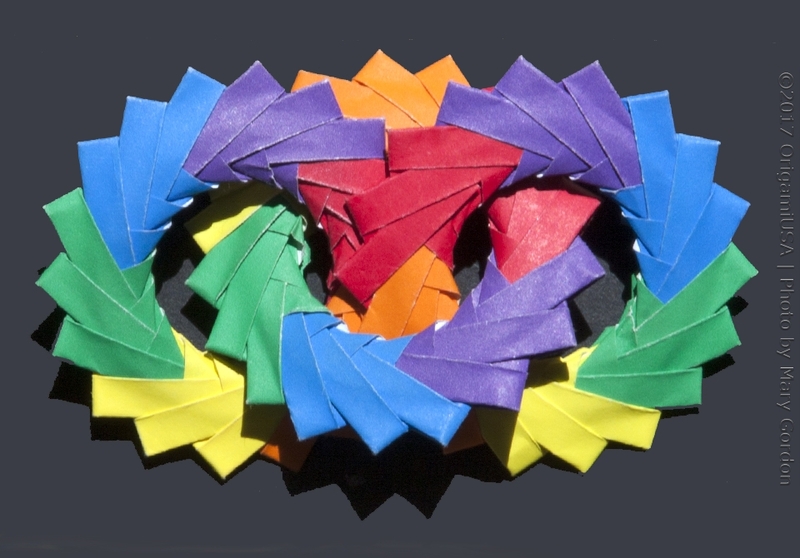 Folded by Rowen Pierick, age 17, from Wisconsin. Design by Rowen Pierick. 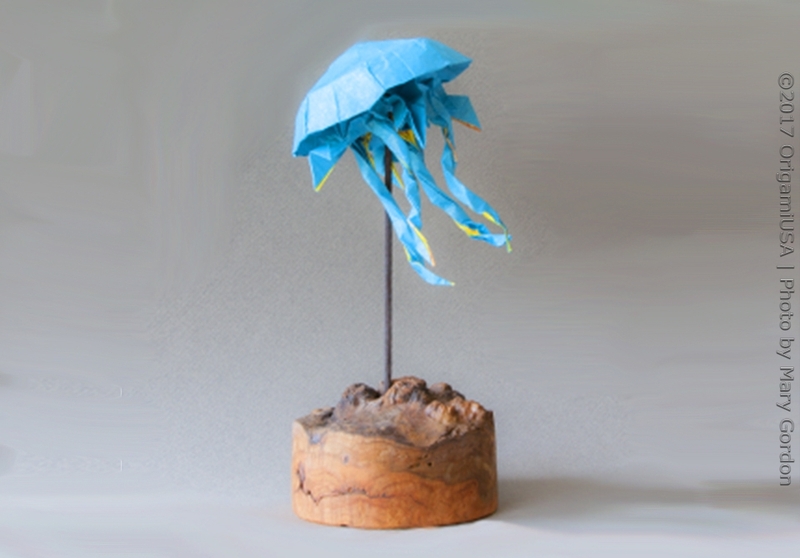 Folded by Kael Dagel, age 14. Design by Hagiwara Gen. 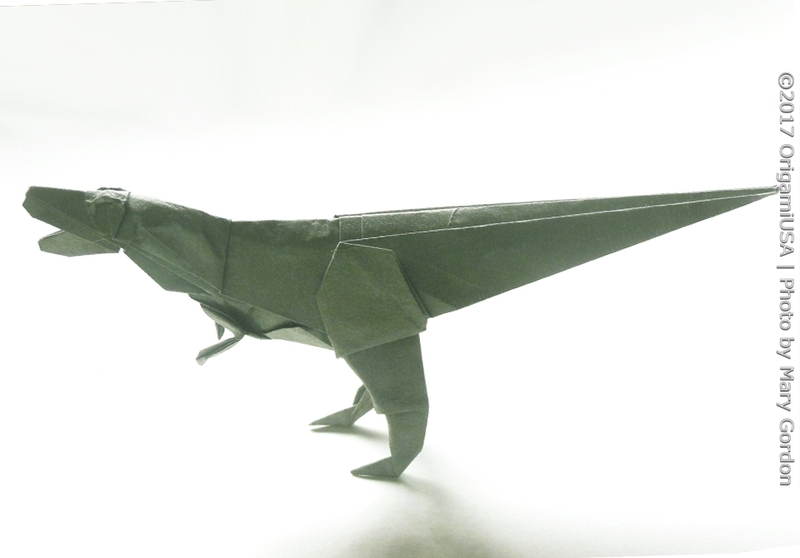 Folded by Lucas Anderson, age 13, from New Mexico. Design by Lucas Anderson. Folded by Raylen Weaver, age 9, from New Jersey. 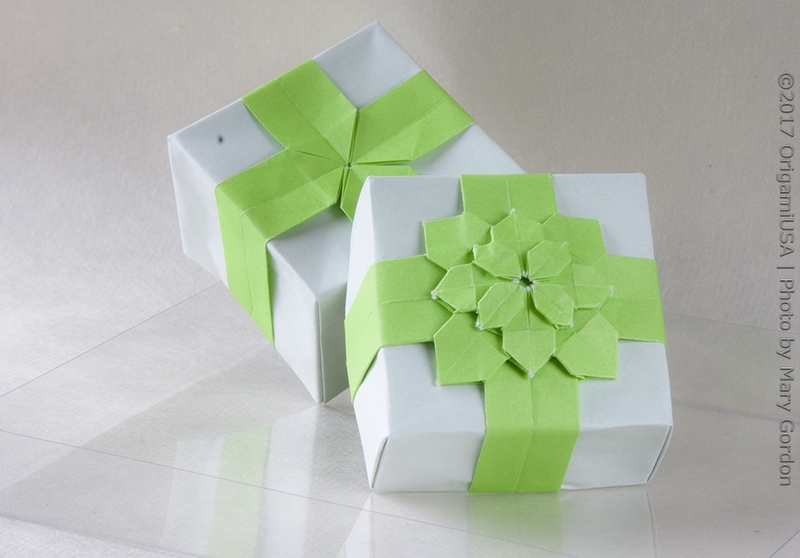 Design by Mette Pederson (units) and Raylen Weaver (ring). 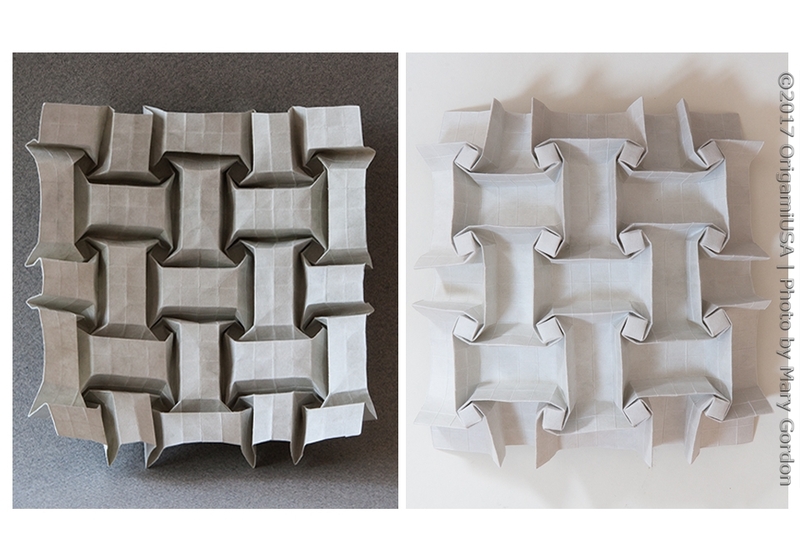 Folded by Alison Wang, age 10, from Massachusetts. Design by Anibal Voyer. 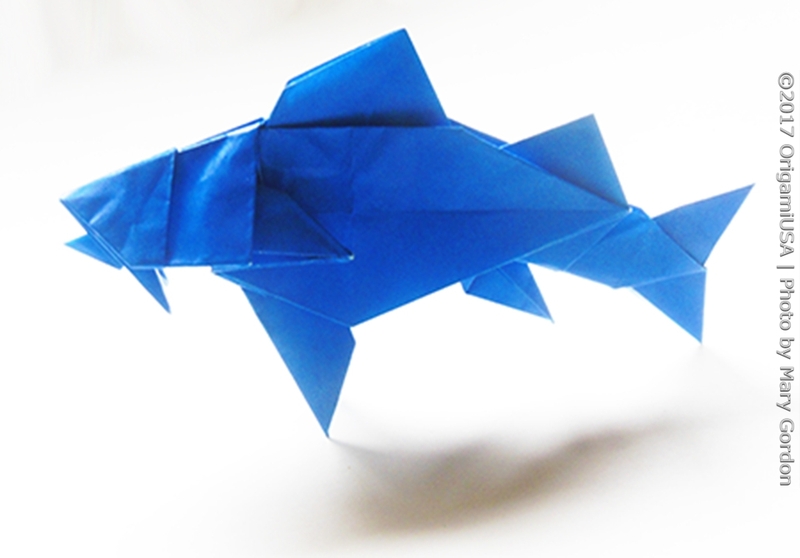 Folded by Alex Yu, age 12, from Australia. Design by Alex Yu. 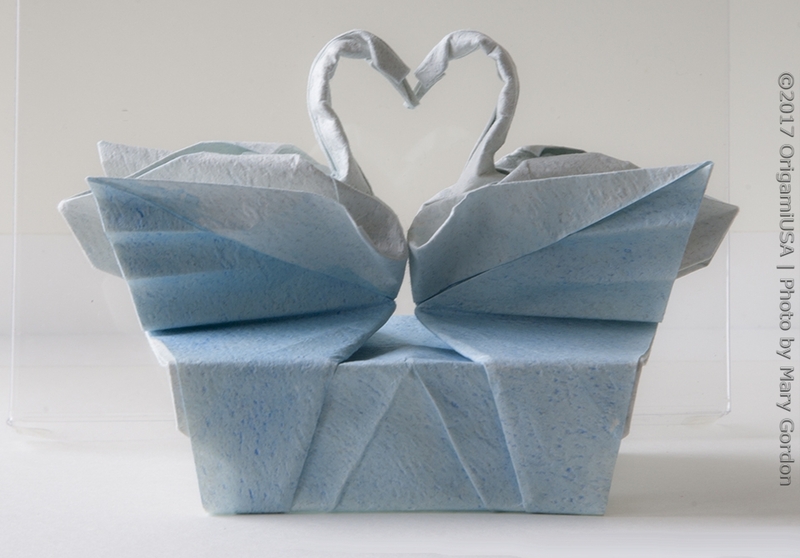 Folded by Maria Luo, age 12. from North Carolina. Design by Shuzo Fujimoto. 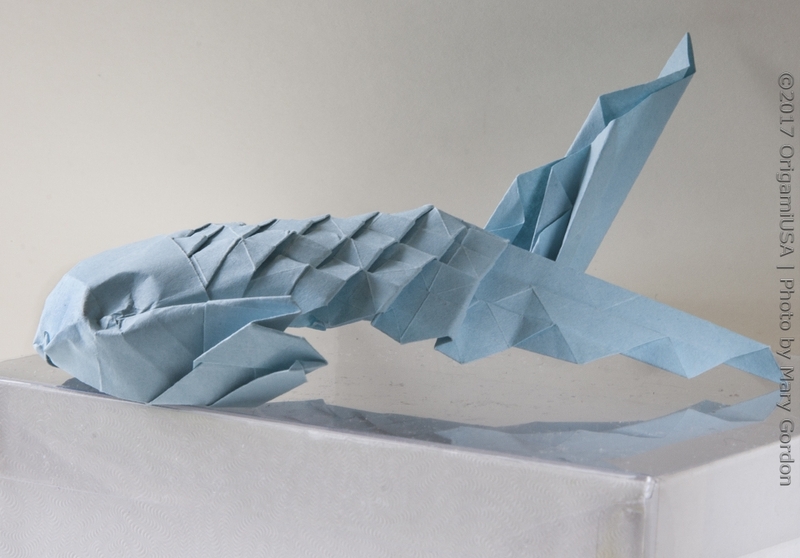 Folded by Sejin Park, age 16, from South Korea. Design by Sejin Park. 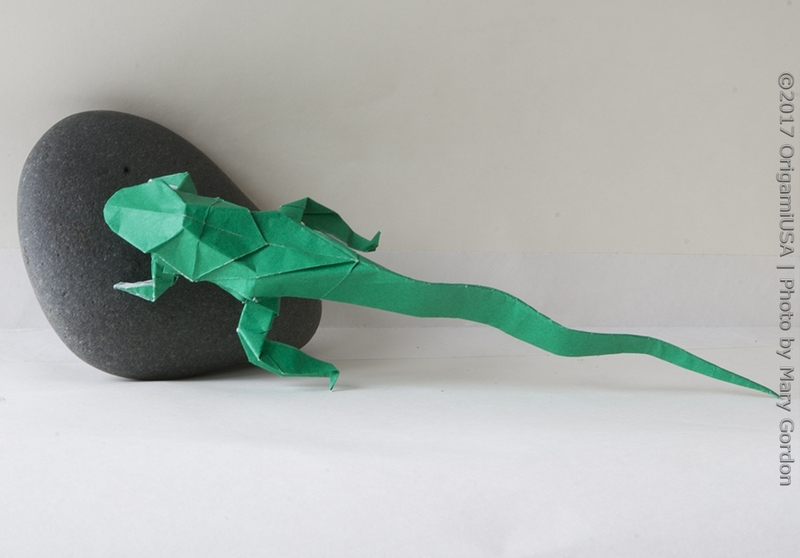 Folded by John Lei, age 16, from New York. Design by Neal Elias. 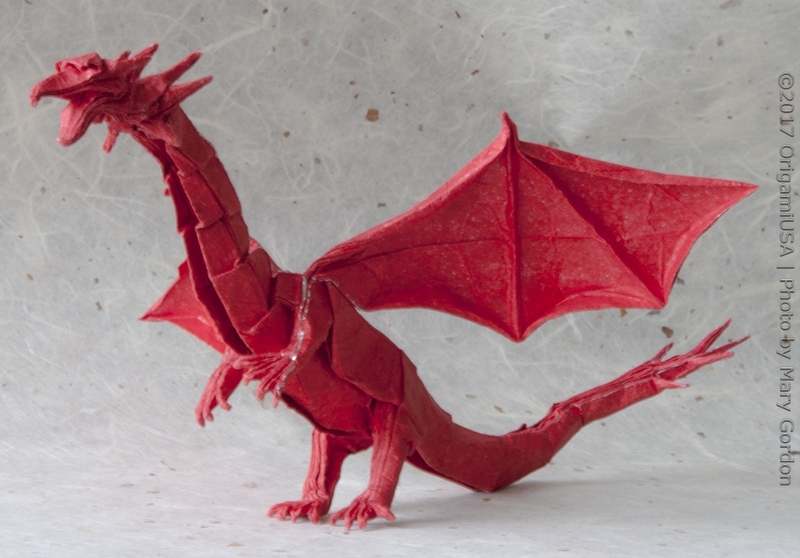 Folded by Alex Zhang, age 16, from California. Design by Satoshi Kamiya. 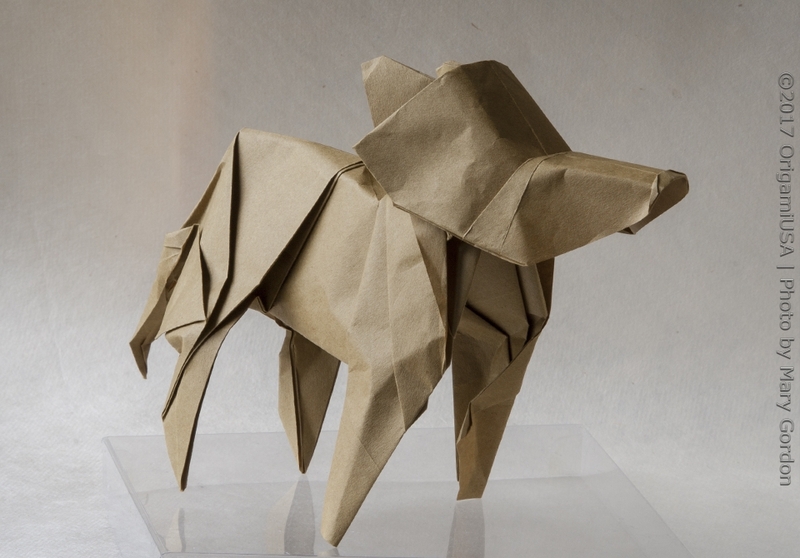 Folded by Simon Shimel, age 17, from Washington. Design by Meenakshi Mukerji. Folded by Maya Zentner, age 8, from California. Design by Dasa Severova. 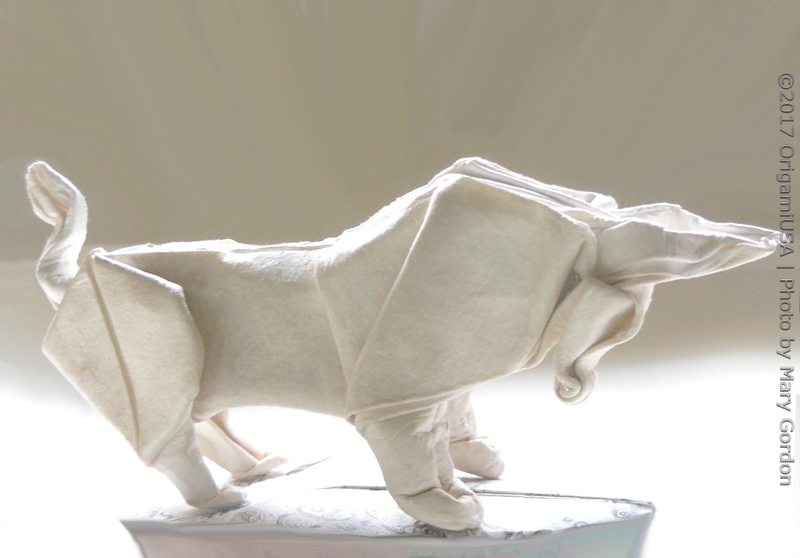 Folded by Raymond Zho, age 13, from New Jersey. 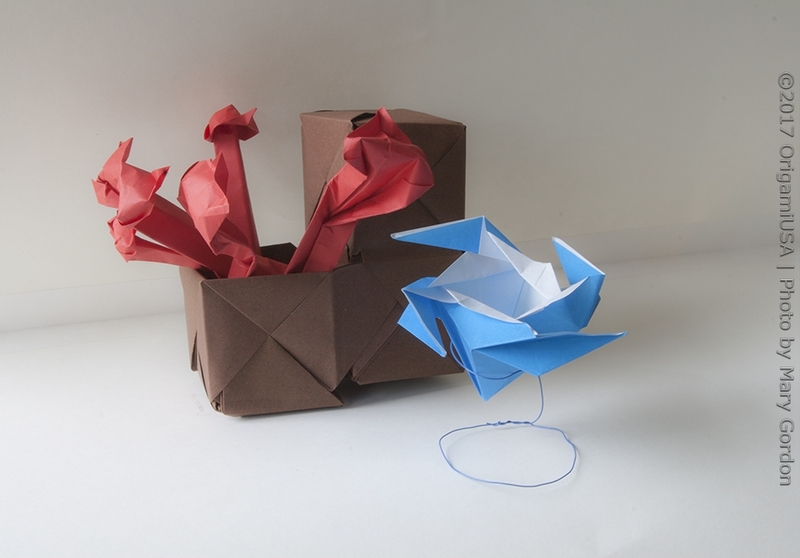 Design by Satoshi Kamiya. 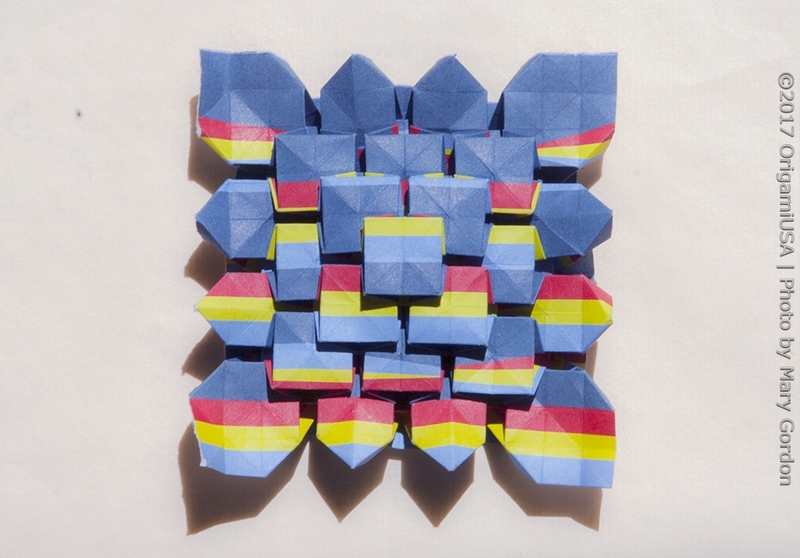 Folded by Graham Stearns, age 13, from Wisconsin. Design by Graham Stearns. 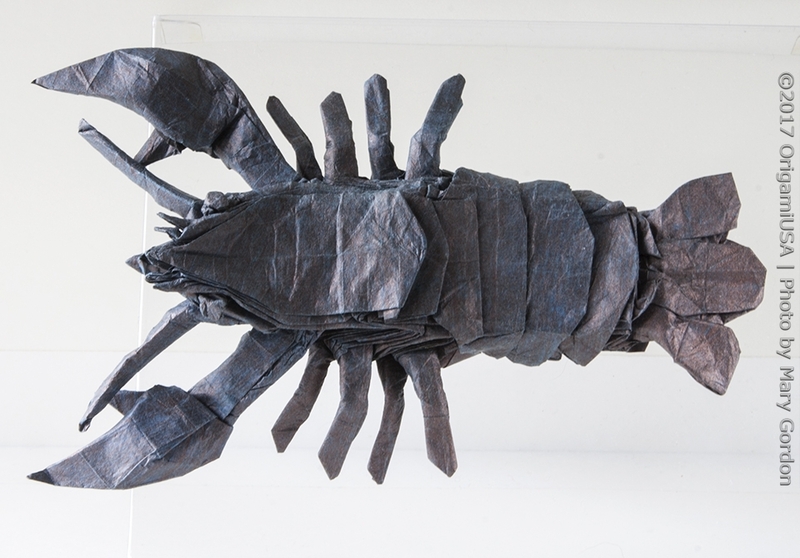 Folded by Sophie Usherwood, age 14, from New Hampshire. Design by Shuzo Fujimoto. 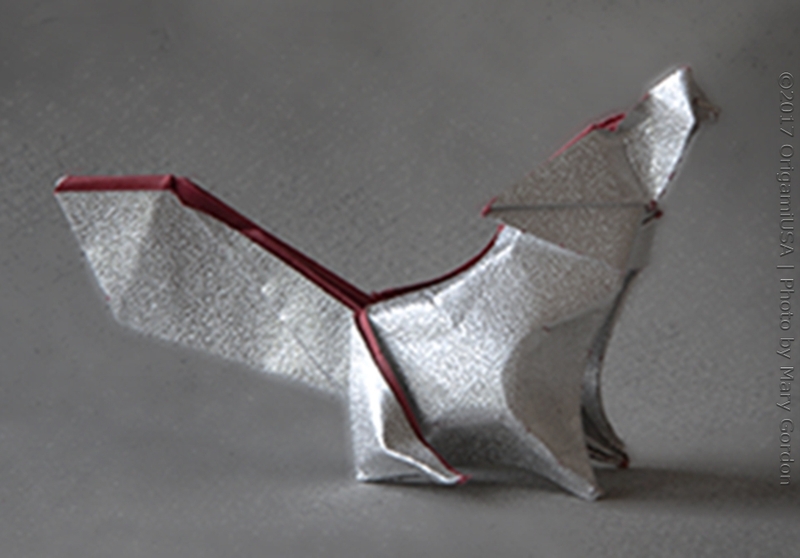 Folded by Erik Iancu, age 11, from Illinois. Design by Erik Iancu. 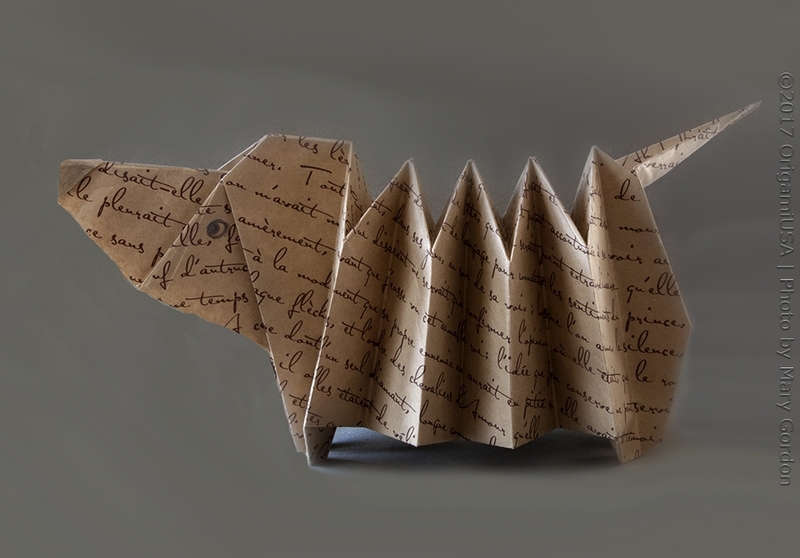 Folded by Tamara Pott, age 14, from France. Design by Meenakshi Mukerji & Tom Hull. 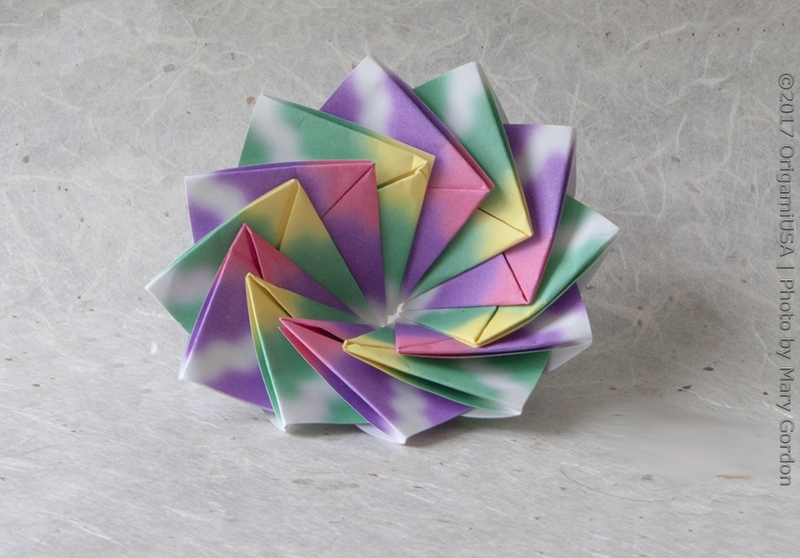 Folded by Jeffrey Li, age 9, from New York. Design by Justin Nachsin. 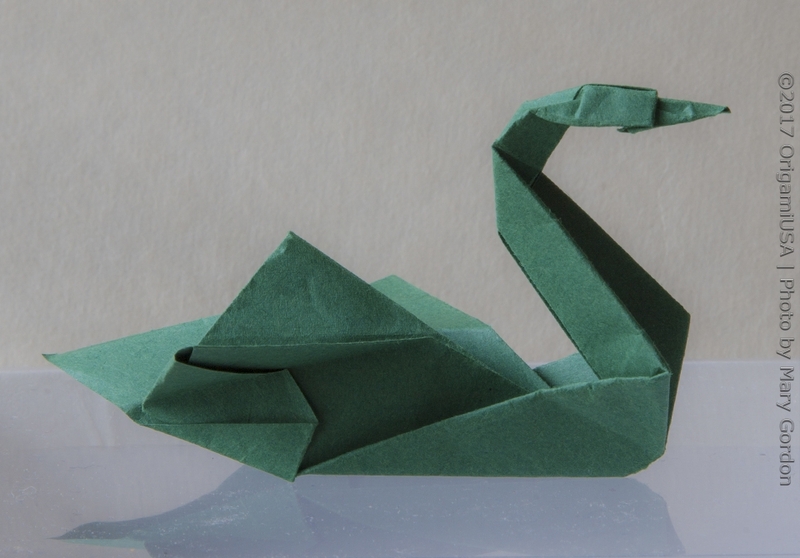 Folded by Griffin Meier, age 13, from North Dakota. 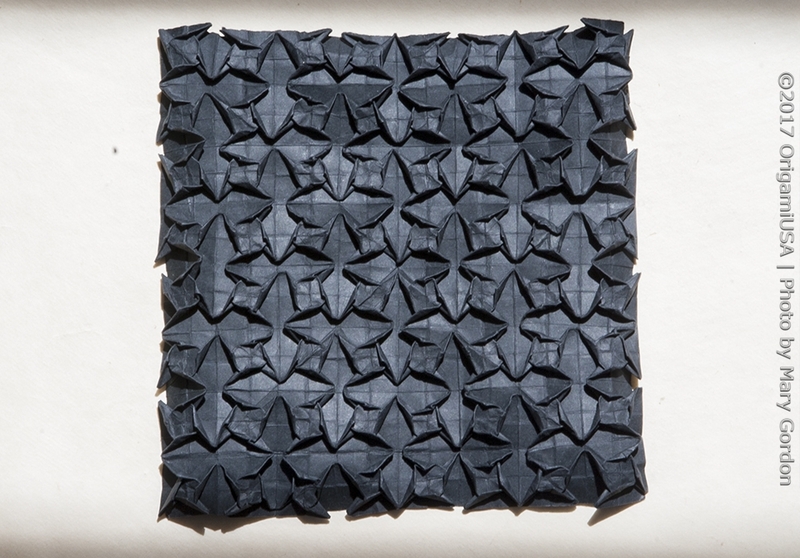 Design by Jo Nakashima and Davor Vinko. 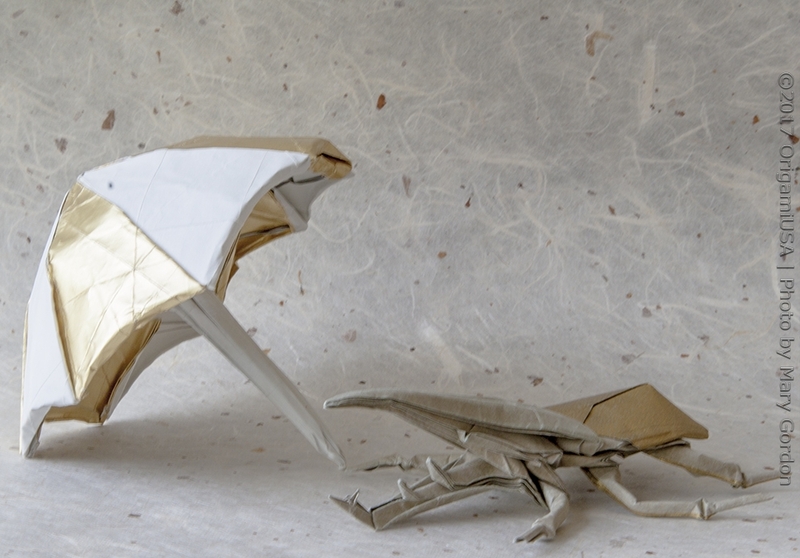 Folded by Justin Shim, age 16, from Maryland. Design by Seth Friedman. 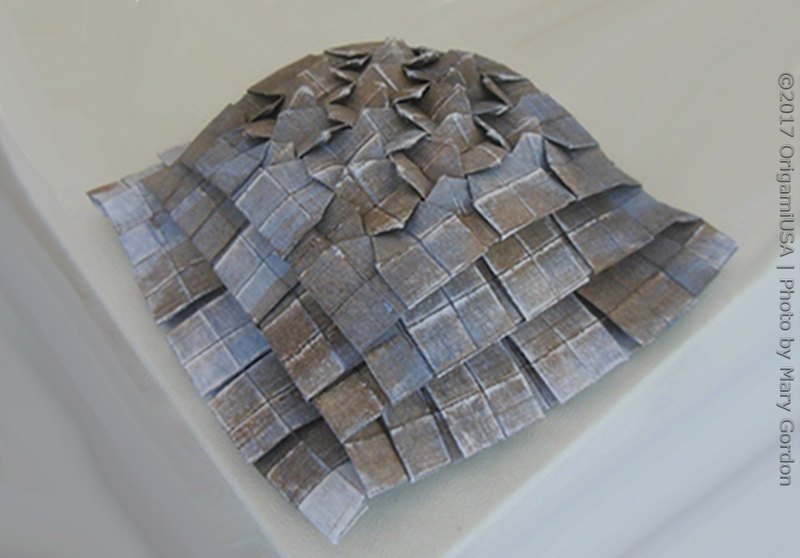 Folded by Nathan Boerner, age 16, from Ohio. Design by Nathan Boerner. 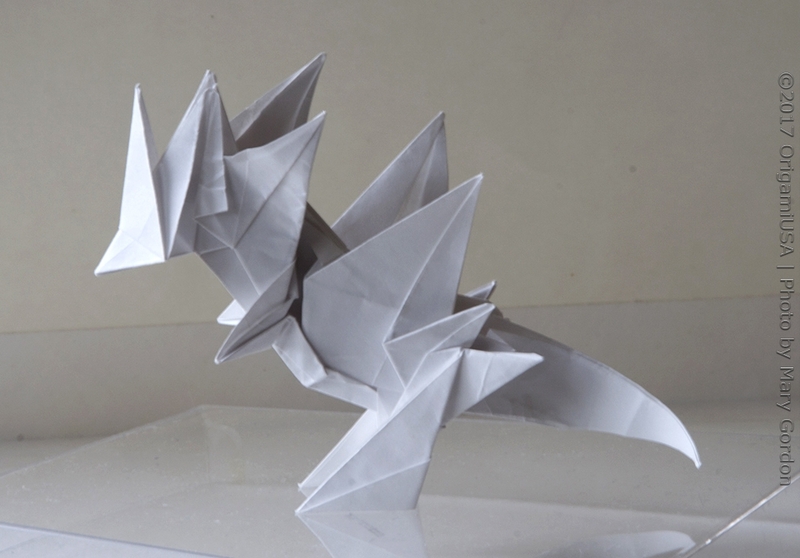 Folded by Eric Zhang, age 17, from California. Design by Eric Zhang. 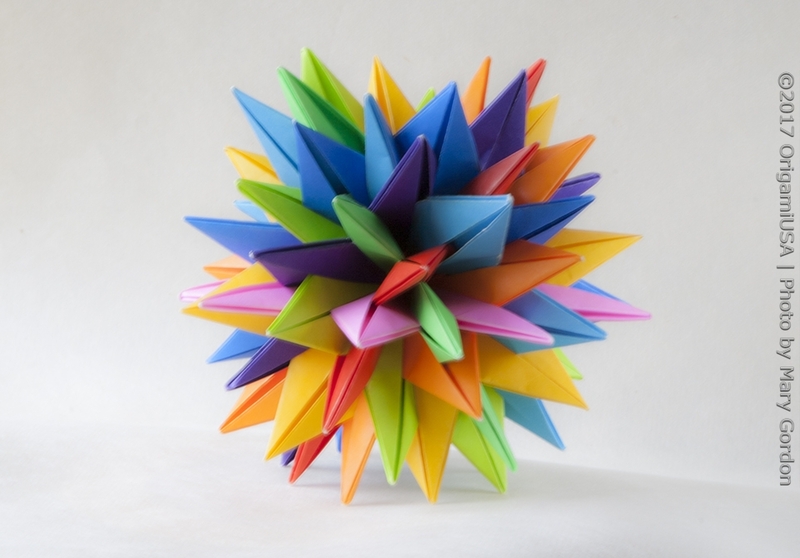 Folded by Keith Meyers, age 16, from Wisconsin. Design by Keith Meters. 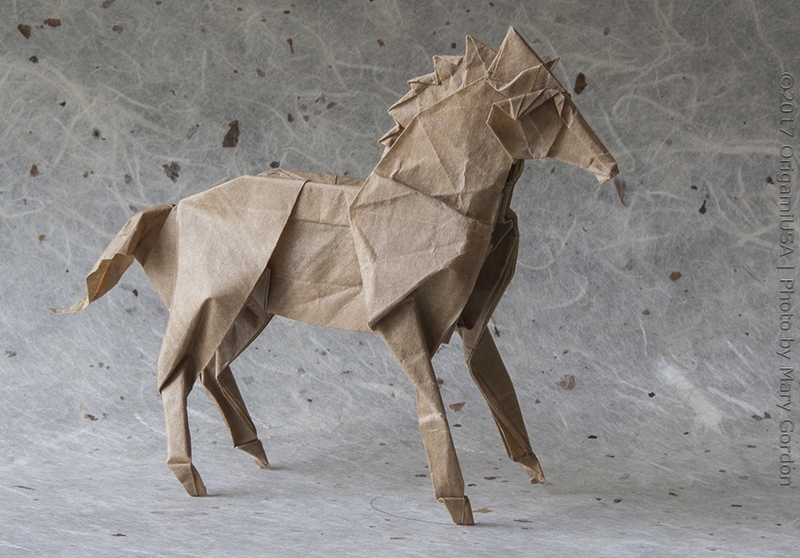 Folded by Evan Deddo, age 18, from Pennsylvania. Design by Shuki Kato. 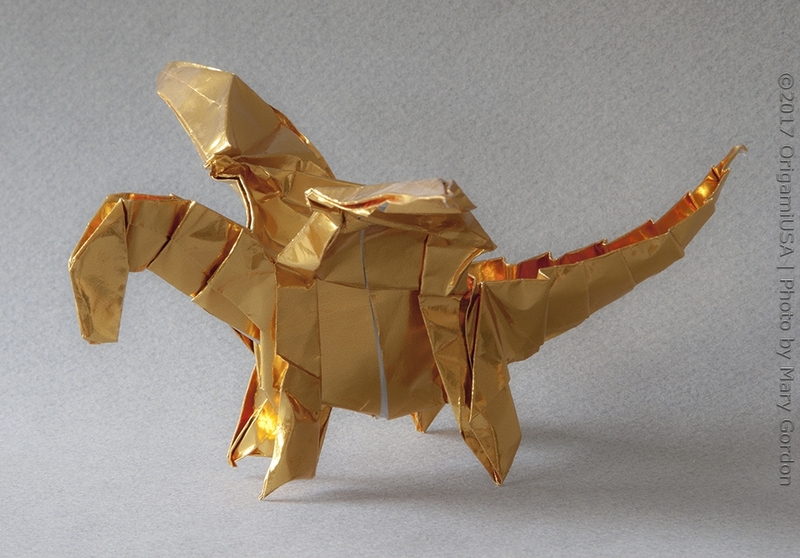 Folded by Oliver Jiang, age 16, from California. Design by Stephan Weber. 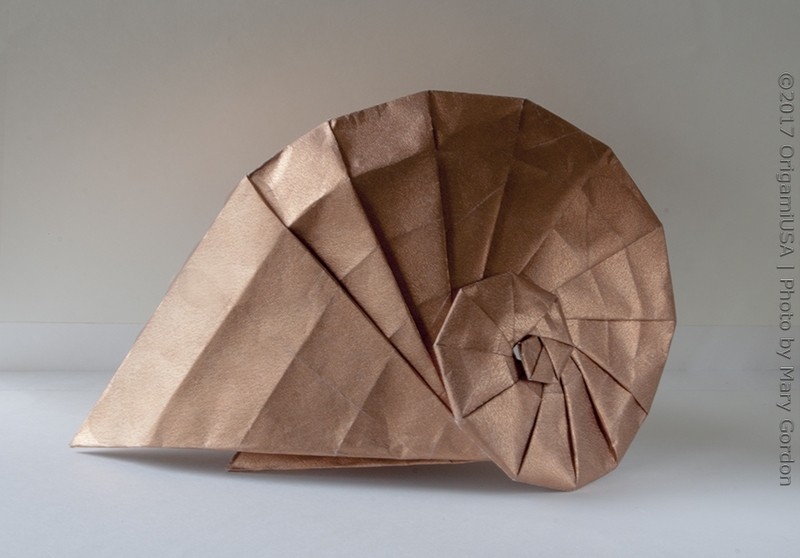 Folded by Jonathan Edwards. age 15, from California. Design by Thoki Yenn, Peter Budai, and Jonathan Edwards. 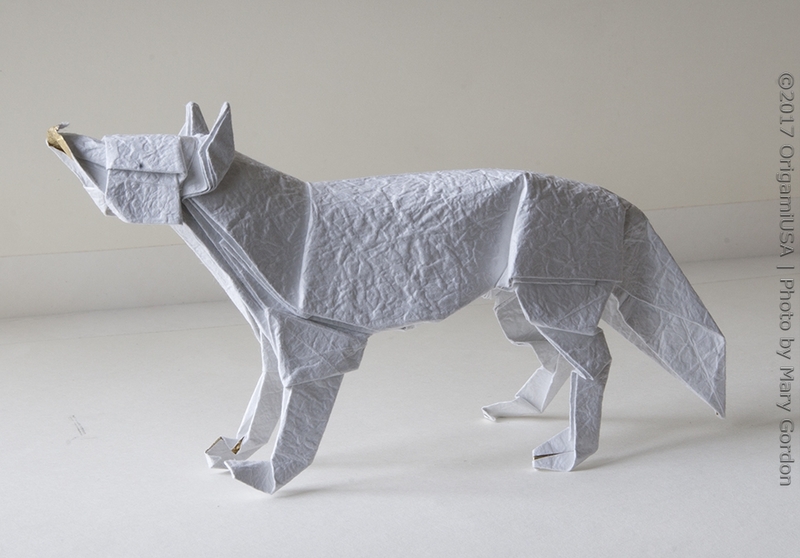 Folded by Will Kalish, age 12, from New York. Design by Will Kalish. 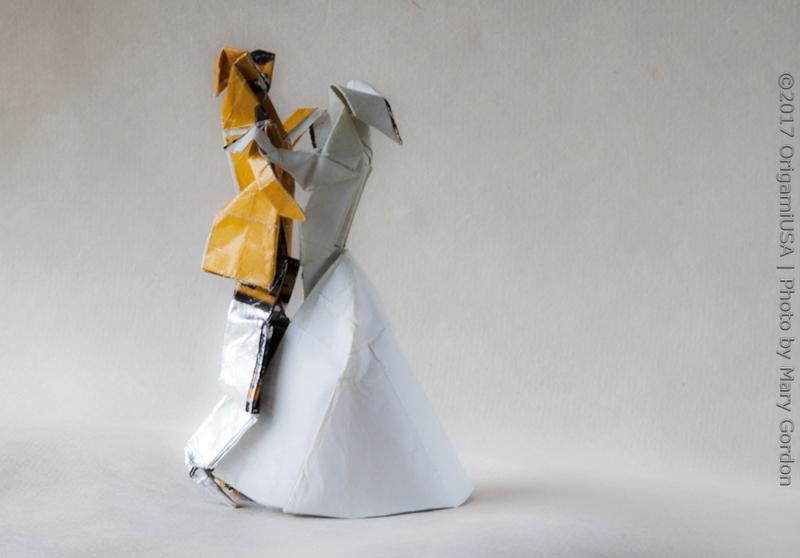 Folded by Heidi Steiger, age 16, from New York. Design by Heidi Steiger. 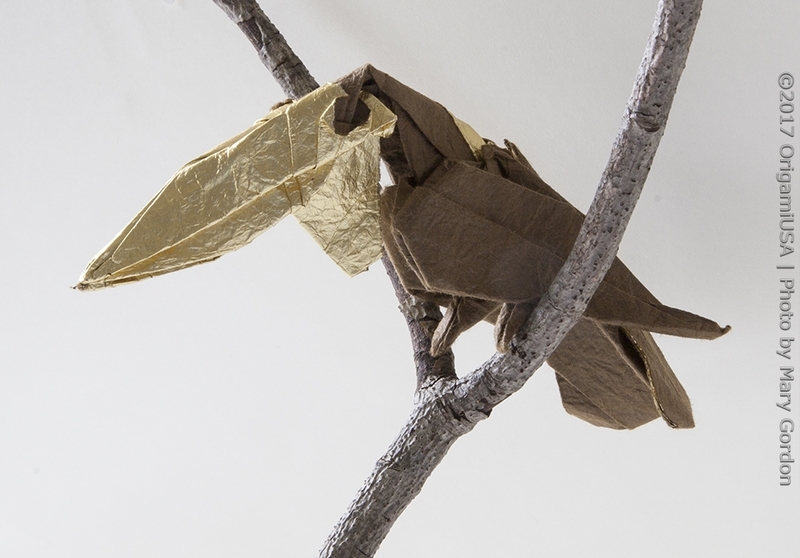 Folded by Grayson Cliff, age 15, from California. Design by Roman Diaz. 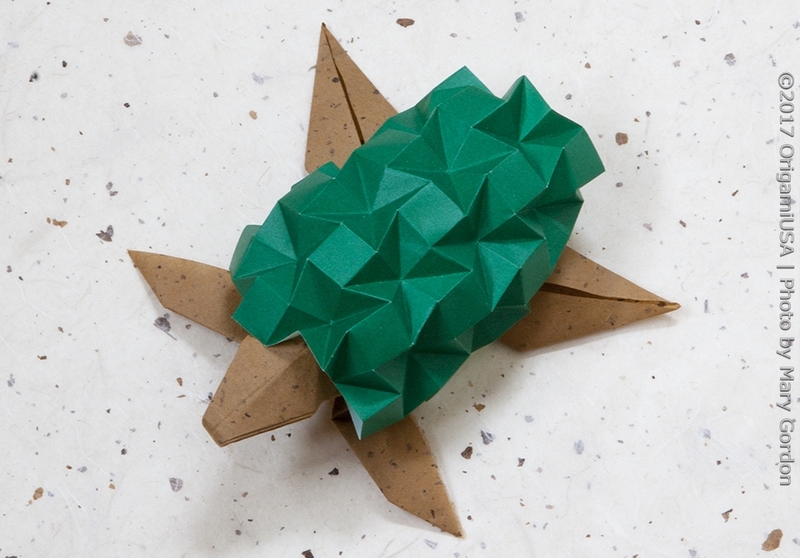 Folded by Maximillian Porlein, age 16, from New York. Design by Maximillian Porlein. 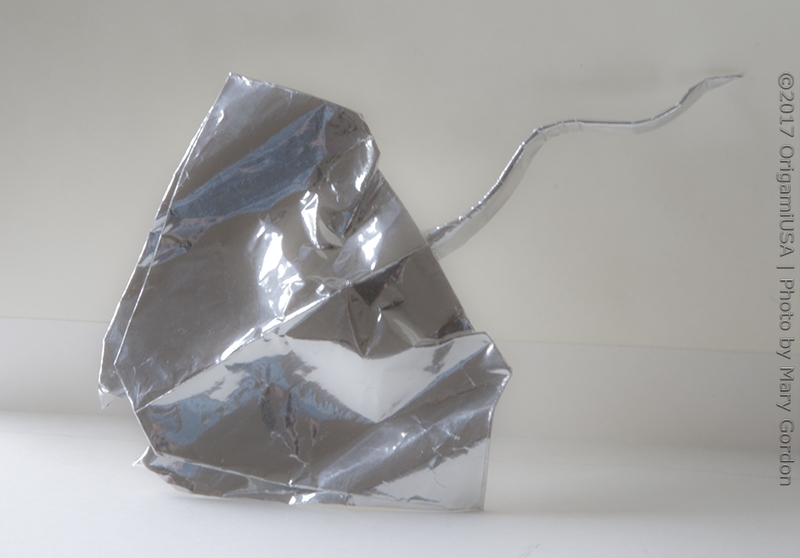 Folded by Aurelio Bazzano-Zeldin, age 11, from California. Design by Aurelio Bazzano-Zeldin. 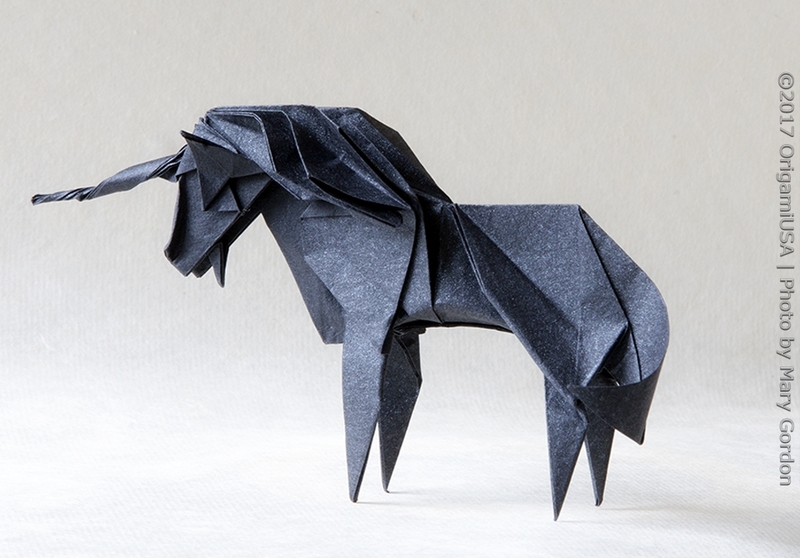 Folded by Andrew Lee, age 16, from New York. Design by Hojyo Takashi. 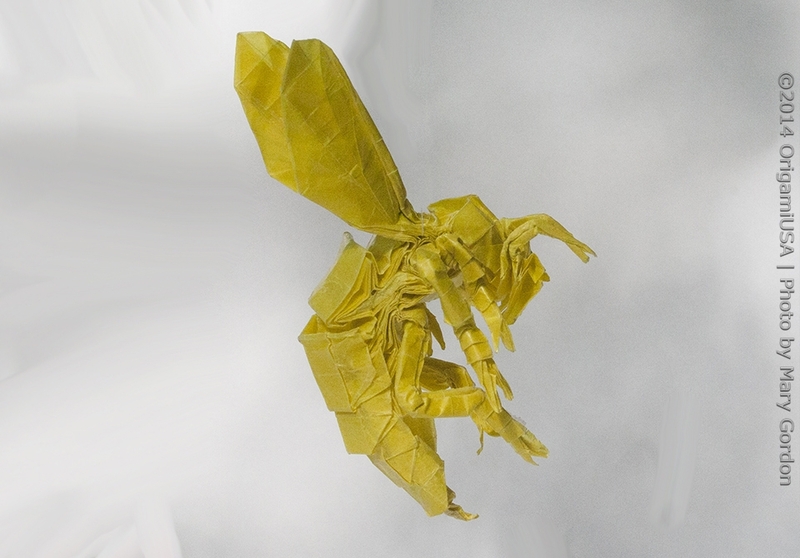 Folded by Jacob Hedgepeth, age 13, from Arizona. Design by Jacob Hedgepeth. 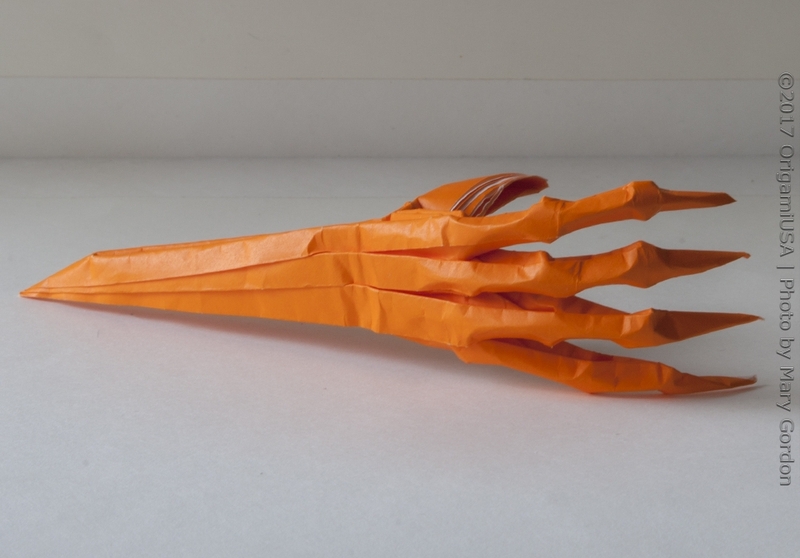 Folded by Tyler Tang, age 10, from Conneticutt. Design by YouTube. 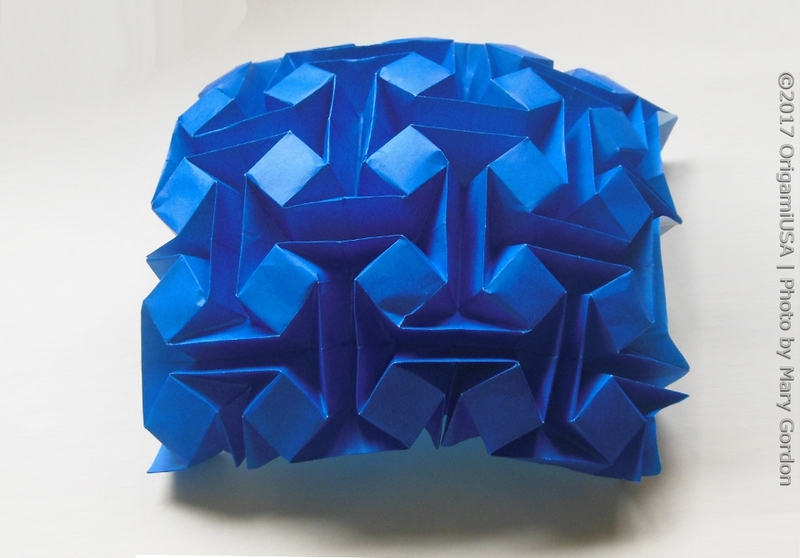 Folded by Anugraph Chemparathy, age 15, from California. Design by Shuki Kato. 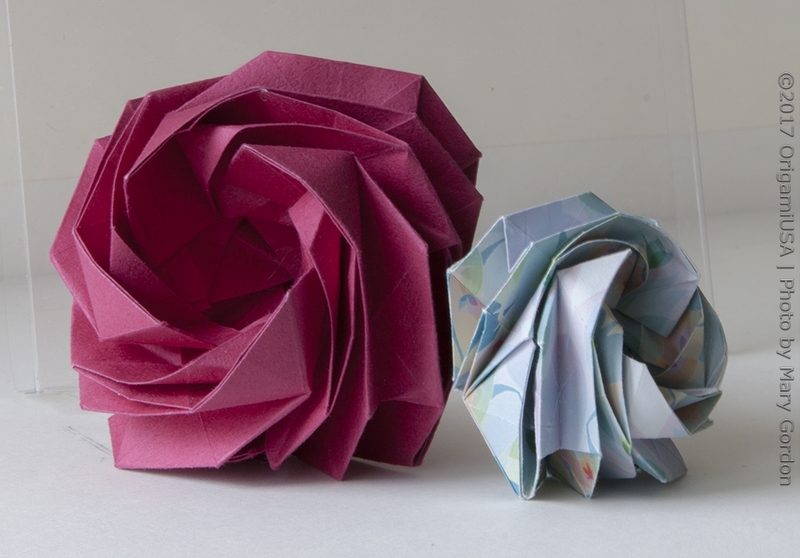 Folded by Stefan Calvin, age 14, from Virginia. Design by Kade Chan. 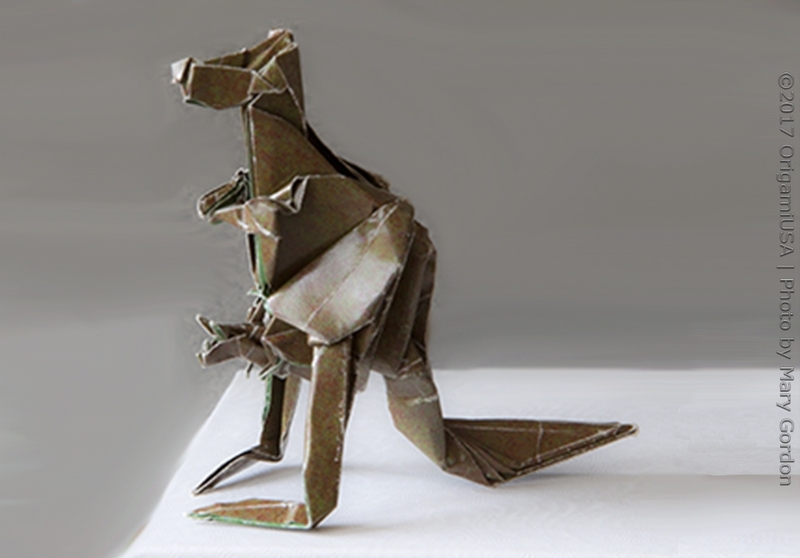 Folded by Andrew Zhang, age 10, from Massachusetts. Design by Jeremy Shafer. Folded by Tristan Paskvan, age 6, from Texas. Traditional design. Folded by Quinn Marcuse, age 12, from Pennsylvania. Design by Robert Lang. 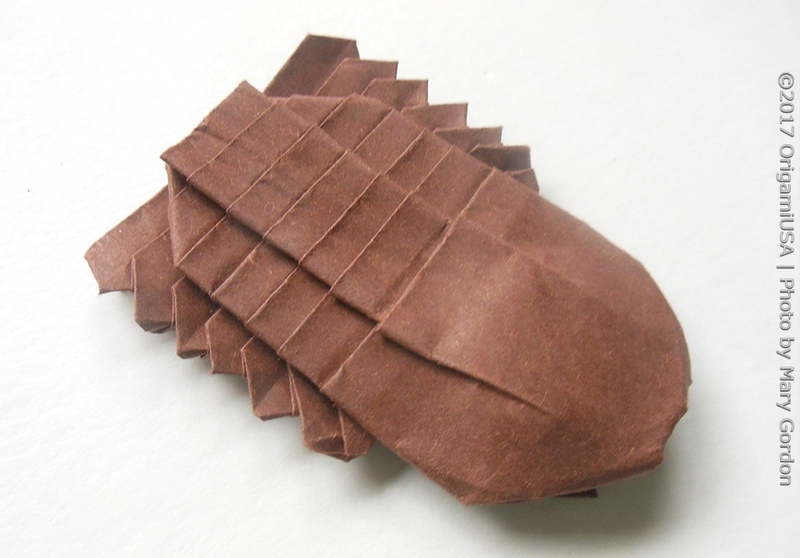 Folded by Axel Lundback, age 9, from Virginia. Design by Michael LaFosse. 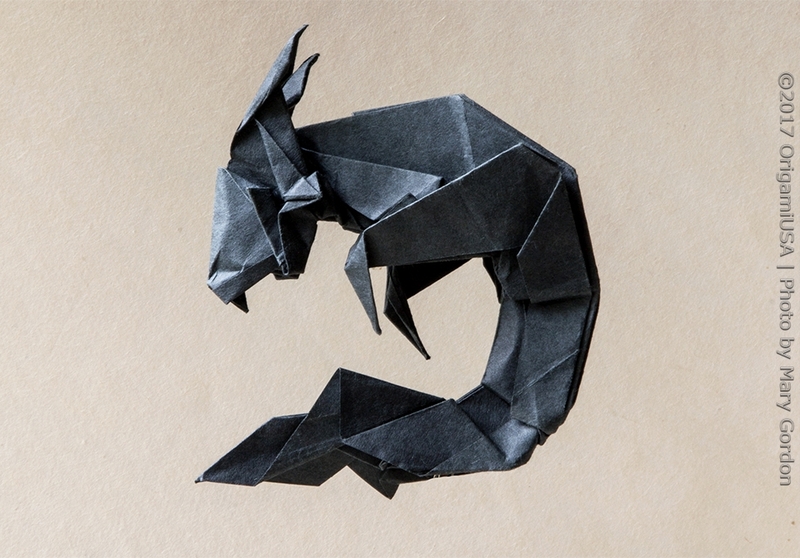 Folded by Jared Lee, age 9, from New York. 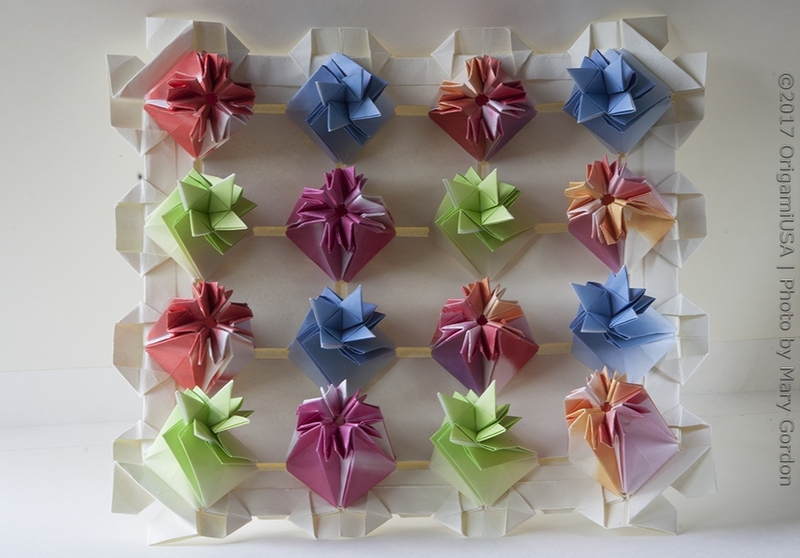 Design by Tomoko Fuse. 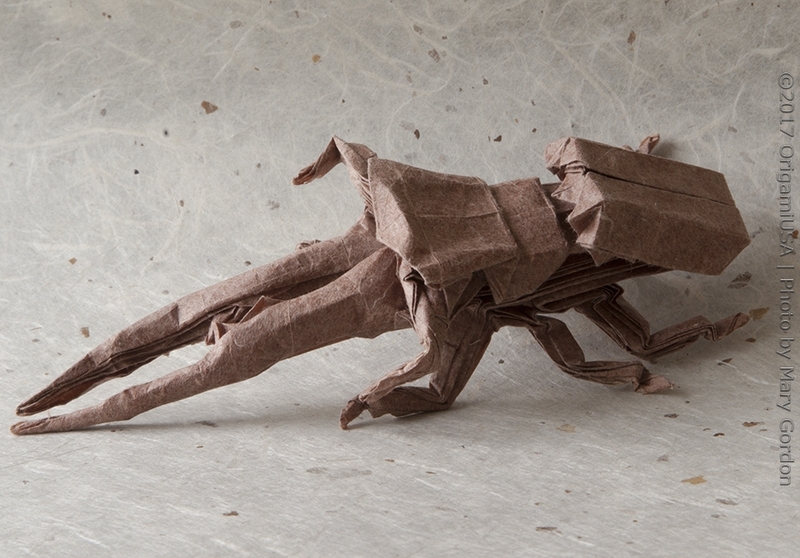 Folded by Andrew Mao. age 17, from Maryland. 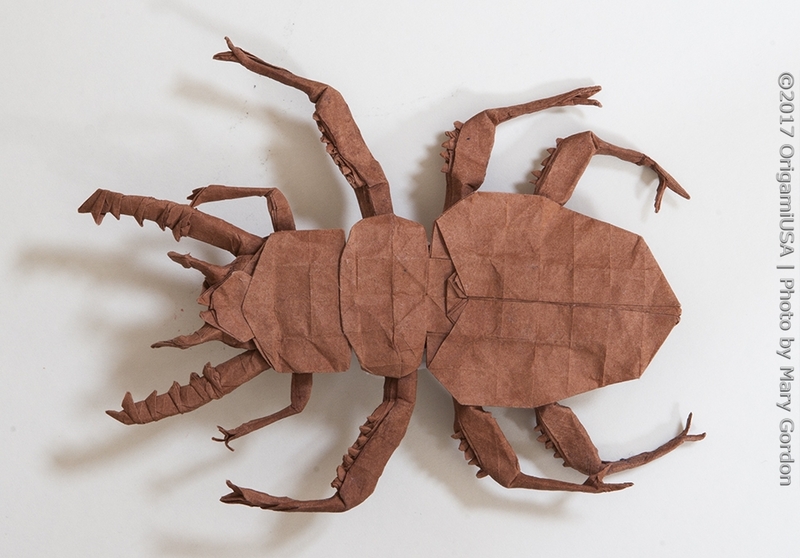 Design by Andrew Mao (umbrella) and Robert Lang (beetle). 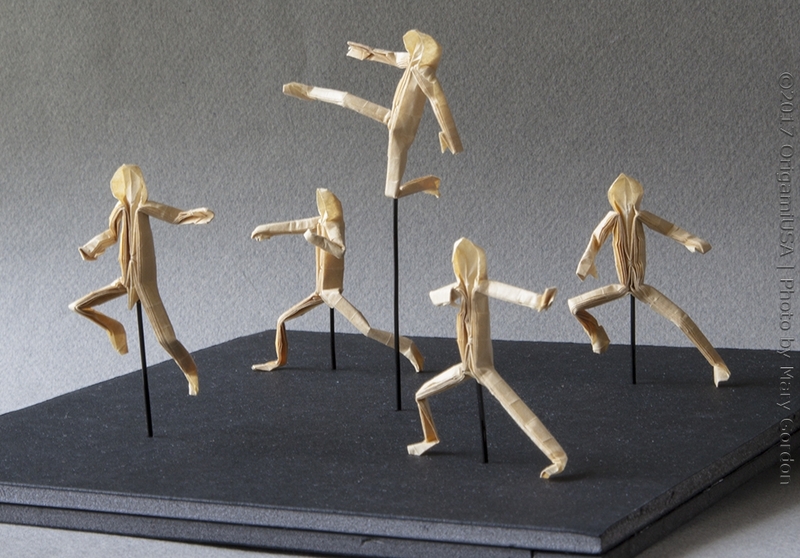 Folded by Lung Fu, age 16, from New York. Design by Mokoto Yamaguchi. Folded by Beckett Lucas-Griffin, age 12, from Wyoming. Design by Beckett Lucas-Griffin. 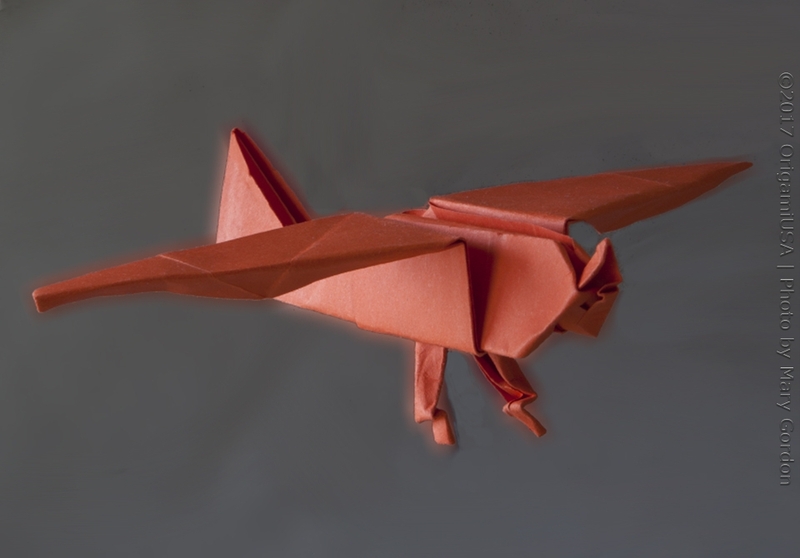 Folded by Sam Hendrickson, age 8, from New York. Design by Sam Hendrickson. 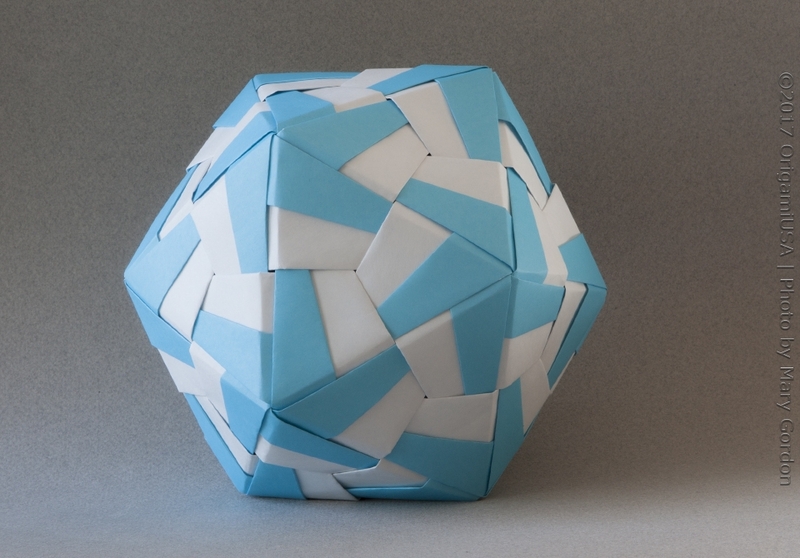 Folded by Jesper Brenner, age 15, from Massachusetts. 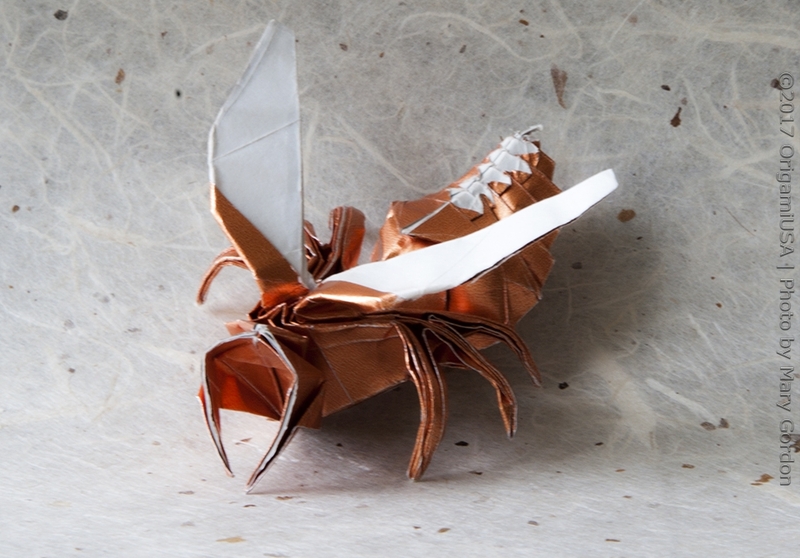 Folded by Giuseppe Romeo, age 13, from Italy. Design by Giuseppe Romeo.